New roof in one day. Very responsive & professional with their quote & their workmanship. Responded right away to request for quote. Provided a written estimate with license number. Delivered shingles & replaced the roof within one day. We have used RC roofing for nearly 15 years on both our commercial strip center, our personal homes and on several other rental properties. As a matter of good business, we always get several bids on all major projects, including roofing. 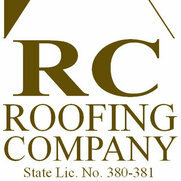 RC Roofing has always offered competitive pricing and more importantly, provided superior service. On the last project, one of the tenants called on the Saturday following the completion of the roof replacement and stated that they were having an issue with the AC unit. Within an hour, RC Roofing had a representative at the location and fixed the minor problem. The tenant was happy and we appreciated their prompt reponse. As a Realtor, I frequently have clients in need of roofing repairs or replacement. RC Roofing is always my first choice of recommendation. I would highly recommend them to anyone with roofing needs. Richard Crowell of RC Roofing in Downey was recommended to us by our close friends, and their friends. He came to us with the reputation of honesty, quality workmanship, and dependability. RC Roofing removed the old asphaltic shingles and roofing paper and laid down new asphaltic shingles. All flashing was replaced along with the trim. The crew arrived on the hottest days of the year to remove the roofing. They were very careful to cover all the areas on the ground to insure plants and lawn equipment were properly protected. They did an outstanding jobin adverse conditions. We are very satisfied with the appearance of our roof. WE are ready for the El nino! We contracted RC Roofing to install a new roof in 2013 and to paint the exterior of the house. 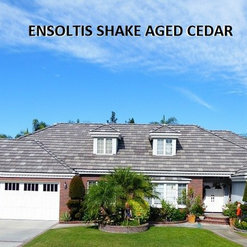 The faux wood shake roof material that licensed roofing and general contractor R. Crowell recommended met all our wants for a new roof: wood color, style that matches the house design, USA made product, lightweight, eco-friendly tiles, walkable without breaking, withstand 90 mph winds, insulation factor R10. We experienced immediately a cooler home without using A/C during hot weather days. A side benefit was RC Roofing painters and workmen and the foreman were professional and put their attention to the details of the job. Preparation for a new roof, painting and daily clean-up were excellent. RC Roofing was also accommodating in their schedule to allow our pest service to apply termite control when the old roof was removed. All roofing work passed the city building code inspector. We are highly satisfied with our roof and exterior paint. Our home is improved and can withstand the weather extremes of Southern California. 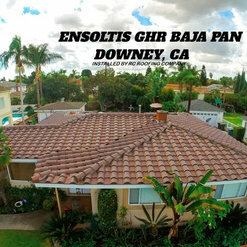 We feel fortunate to have contracted with RC Roofing/ Richard Crowell (Downey, CA).